Alvarium Investments (formerly LJ Partnership), an independent global investment boutique, today announced the acquisition of Iskander, an asset manager dedicated to large private investors, giving it a presence in France and strengthening its international reach. The development marks the fifth acquisition by the firm in the past eight months, extending its capabilities into the Italian, French and Australasian markets. The Iskander acquisition comes in the same week that Queensgate Investments, a partnership between the Kow Family, Alvarium Investments, Peterson Group and Dilmun acquired four Grange Hotels in Central London in a deal valued at around £1bn. Today we announce our latest acquisition in France as well as a rebrand that consolidates our international operations under one brand." Alvarium also recently completed its merger with London based media, consumer and technology form Lepe Partners, creating a merchant banking platform (Alvarium Merchant Banking Division). Alvarium Merchant Banking has already supported tech unicorn Tradeshift in an extension of its series E round, taking funds raised to $300m in the round. Tradeshift is the leader in supply chain payments and marketplaces valued at $1.2bn. Investors in the business include Goldman Sachs Group Inc, PSP Investments, HSBC among others. This week, the firm announced that it has rebranded as Alvarium Investments, marking a new chapter that sees it consolidating its existing brands and its position as the leading independent global investment boutique. Alvarium's global expansion plans were given a significant boost in July 2018 when it received an equity investment from Dilmun, which acquired a 40% stake in the business. 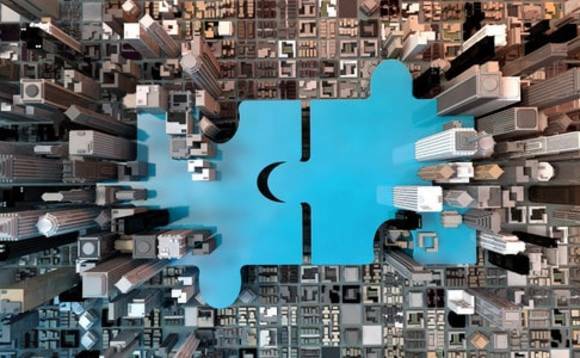 Simultaneously the firm announced the high-profile appointments of co-Chairman Ken Costa, the former chairman of Lazard International; and Partner, Ali Bouzarif, the former head of investment execution at the Qatar Investment Authority. Today, Alvarium numbers 200 employees and 25 partners at eleven office locations across North America, Europe and Asia Pacific. It supervises in excess of $15bn of assets on behalf of individuals, families, charities, foundations, institutions and sovereigns and has to date invested over $3.5bn of equity via its direct real asset co-investment programme. Alexander de Meyer, CEO of Alvarium said: "In recent years we have seen sustained and measured growth, bringing on and integrating new teams and service offerings for the benefit of our clients and partners. Today we announce our latest acquisition in France as well as a rebrand that consolidates our international operations under one brand. Both mark an exciting new chapter for the firm, reinforcing our position as one of the leading independent global investment boutiques." He added: "Alvarium is Latin for beehive. Honey bees have developed a highly effective approach to cooperation and a complex consultation process to make better decisions. Alvarium shares these qualities as an international network facilitating collaboration, connection and co-investment." Andrew Williams and Ken Costa, co-chairmen of Alvarium said: "With our broad range of service offerings now integrated under one strong brand, we look forward to being the merchant bank for all the generations. Matching real assets to international capital to deliver outperformance across multiple asset classes. Our industry is one that continues to undergo considerable consolidation, with more complex products on offer since the GFC, investors expect greater transparency, control and the opportunity to partner and co-invest with asset managers across a range of sectors, wherever they are in the world. Alvarium is strongly placed to capitalise on this trend."